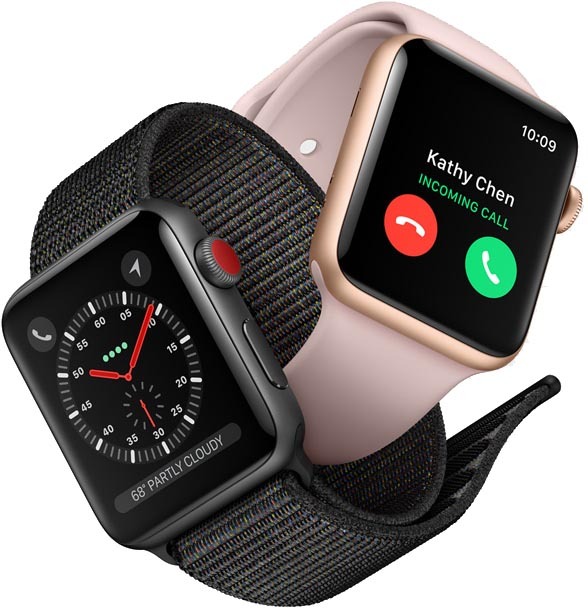 Apple Watch Series 4 models set to be released this fall will feature a new design and a display that's 15 percent larger, according to predictions shared by KGI Securities analyst Ming-Chi Kuo in a new note that was sent out to investors this morning (via 9to5Mac). In addition to a new design with larger displays, the new fourth-generation Apple Watch models will feature a longer battery life enabled through more battery capacity and improved health monitoring capabilities. The display size of the watch could increase due to smaller bezels, and it's not quite clear what impact a larger display would have on physical device size. The Apple Watch's design has remained unchanged since the first-generation Apple Watch was introduced in 2015, so a redesign three years later in 2018 would make sense. Kuo also does not go into detail about what new health monitoring capabilities the fourth-generation Apple Watch might offer. Rumors have suggested Apple is exploring a sensor that would allow for continuous electrocardiograph monitoring to better detect serious heart conditions. Apple is also pursuing a method for non-invasively monitoring blood glucose levels, but that technology seems to be a bit away and may not make it into a 2018 Apple Watch update. Ming-Chi Kuo often shares accurate predictions about Apple's plans, so it's likely we can expect to see some kind of Apple Watch redesign this year. We'll be hearing more about Apple's plans as the watch's likely September release date gets closer. I'm good with a redesign as long as all of my bands are still compatible. I think the Apple Watch is the one Apple product that could stand to be a little thinner, provided there's no impact to battery life. How does it feel to able to speak for all women everywhere? That's a heavy burden. Give me a round option and I will buy. Just do the usual and most sincerely flatter a Dieter Rams design.